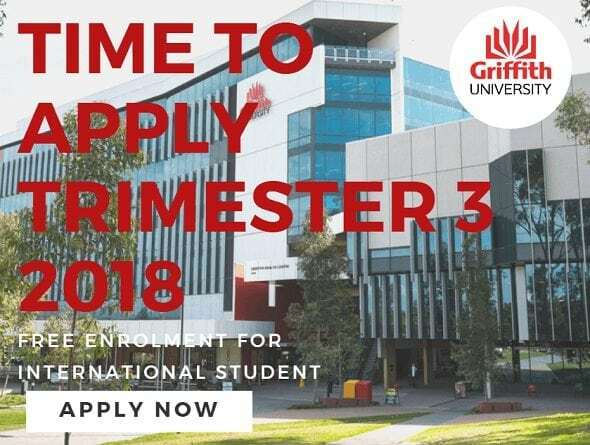 At Griffith University teach across three 12-weeks trimester, rather than two semesters, each year, giving you more flexibility and control over your study, With a range of degrees available to start in Trimester 3, you might not need to wait until next year to start your course. What can you study in Trimester 3? All international students wishing to study at Griffith University must meet the minimum English language and academic entry requirements. *Some degrees have higher entry requirements, specific prerequisites or require the submission of portfolios, medical checks or professional work experience. Search for your degree to view your specific requirements. Standard academic entry to our undergraduate degrees requires completion of secondary school comparable to Australian Year 12 or equivalent academic achievement. If you do not meet the academic entry criteria for your degree, you may be able to study a foundation or diploma program to gain direct entry into the equivalent Griffith University bachelor degree. If you do not meet the minimum English language requirements, you may complete the Direct Entry Program at Griffith English Language Institute.